Protect the planet with pre-event promotions that have a lot of heart! 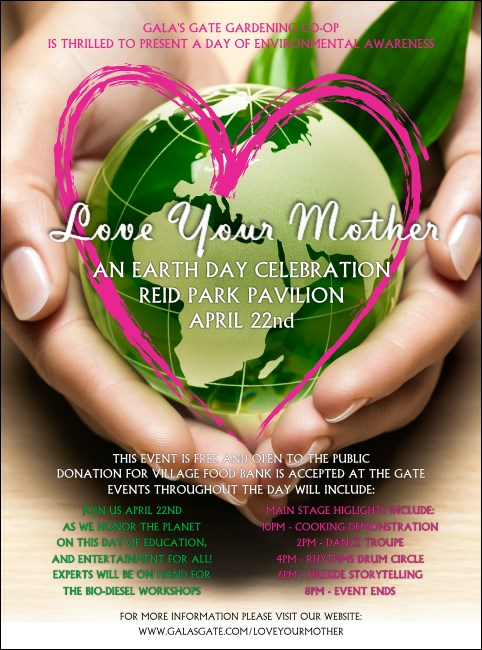 Earth Day Heart Flyers feature a photorealistic picture of two hands delicately holding the green Earth with a pretty pink heart traced around it. Add up to twenty three lines of colorful text to the template for all your environmentally-friendly event details. TicketPrinting.com's pre-event advertising is good, clean fun.